Nike adds a new Air Max 98 colorway to their celebrated lineup for 2018 that comes dressed in a Black, Anthracite, Dark Grey and White color scheme. This Nike Air Max 98 features a Black mesh upper with a Medium Grey suede overlay and reflective trimming. A Dark Grey mudguard with embossed croc detailing is offset with a White midsole and Black rubber outsole. Look for the Nike Air Max 98 Anthracite to release on June 15th at select Nike Sportswear retailers and Nike.com. The retail price tag is set at $170 USD. 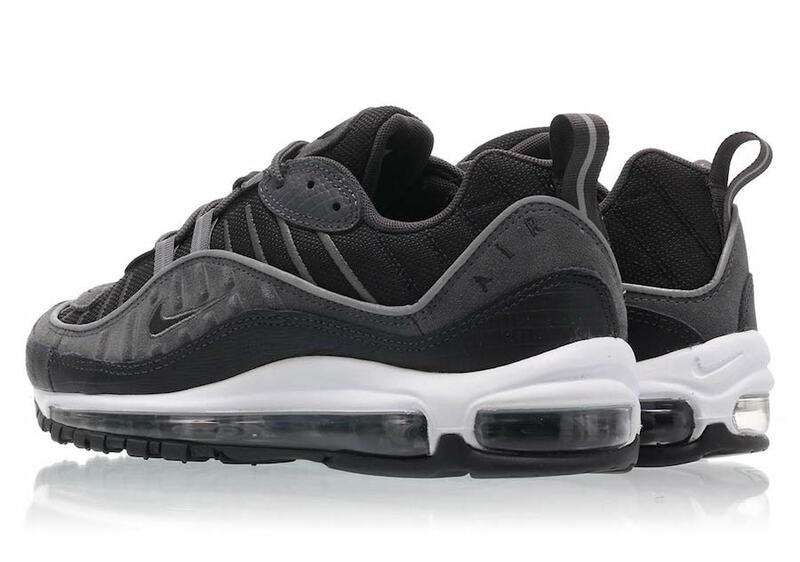 UPDATE: Nike releases official photos of the “Anthracite” Air Max 98.